Este é um trabalho demorado, mas que gosto muito de fazer e vou-o alternando com outros. This is a slow work, but I love to do it. In the meantime I'm working on other things. @Monica Yes I'm been inspired by these beautiful tiny wildflowers. 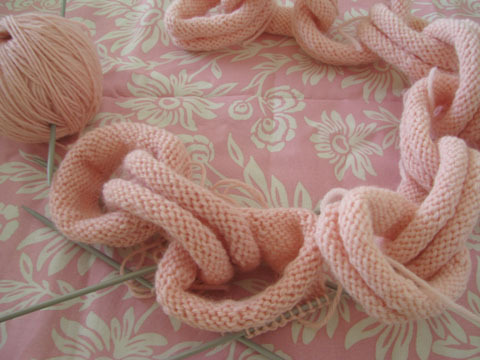 Well, about the time, I started this neckpiece in the beginning of 2011 http://www.tricotaria.com/2011/01/como-uma-rosa-like-rose.html and I'm still working on it (yesterday I knitted only a row or two, but it was worthy)!